The care you take over welcoming your holiday cottage guests is one of the most powerful tools in your arsenal of customer service and marketing assets. You never get a second chance to make a first impression. Today´s holidaymaker has high expectations and they demand a level of quality that easily matches the fabulous hotels stays they have enjoyed in the past. And if you think about it, one of the best bits about a holiday is that very first time you step inside your accommodation in anticipation of how it´s all laid out, the décor, and what kind of welcome you are about to get. If you’ve ever received an unexpected extra touch on arrival in a hotel, like being offered a glass of prosecco by the concierge while you check in, finding a plate of fresh fruit in your room, or even just a handwritten note from management, then you will know that it puts a smile on your face. So how do you create a 5* hotel experience and replicate this warm welcome for your holiday cottage guests? Well, we think you can do it even better! You have to expect that your guests will be arriving tired, stressed and probably hungry. So, one of the most thoughtful things you can do is to offer a carefully put together welcome hamper complete with a handwritten note to welcome them to your home. The definition of “carefully put together” is where your creativity really can run wild. Savvy owners can turn this seemingly simple customer service gesture into a real “wow” factor to impress your guests. The first thing most guests are going to want to do after arriving is sit down with a brew and biscuit! If you are running a high-end and luxurious rental with a premium price tag, your welcome pack and gifts should form part of your marketing strategy and be factored into your pricing accordingly. For such properties, think luxury touches such as chilled Prosecco on arrival, Haagen Dazs in the freezer, a selection of luxury chocolates, fudge or cheeses and chutneys. Night time arrivals might appreciate something they can make quickly for supper, some fresh fruit or herbal teas/hot chocolate to help soothe stressed travellers to sleep (or a nice bottle of red should do the trick!). Evening arrivals might also love having their first morning´s breakfast sorted out for them so they don’t have to wake up and rush straight out in search of food on an empty stomach. While lunchtime arrivals might prefer some fresh salad or a box of your homegrown herbs and veg to get their first evening off to a great start. What you choose to include in your food hamper should vary depending on the type of guests you accommodate. If you’re renting out a 1-bed apartment for couples, it’s not necessary to go all out. Something as simple as tea/coffee/milk, bottled water, fresh bread & butter, eggs, biscuits, cheese or jam may be enough. Regardless of the arrival time, the smell and taste of a home-baked cake or fresh pastries from a local bakery are always appreciated! A really popular trend in UK farm cottage rentals is to include some local artisan type products to showcase the area and what makes it special. For example, a typical cheese from the area or Devon cream tea with homemade strawberry jam and clotted cream. Many guests like to do their grocery shopping online. Include the contact details of the local supermarket which does home deliveries so guests can arrange for their shopping to be delivered to your holiday home when they arrive. Maybe go that extra step by asking your guests if they’d like you to arrange any special supplies in advance. Better still, support your local village shop by setting up a pre-arrival guest grocery delivery service with them. Ask local suppliers for free samples that you can give to your guests in exchange for promoting their product e.g. honey, jams, olive oil or wine. Whether your guests are conscious followers of sustainable tourism or not, they will certainly love getting to know your region that little bit better. For added sustainability brownie points, be sure to tell guests a little about the ingredients and encourage them to buy more from the source. Prepare an “essentials” list of all the places you bought the supplies from, with directions to the local supermarket, delicatessens and a good bakery so they can very easily get stocked up and settle in for a relaxing stay. Market your rental as dog-friendly? Then don’t forget to provide treats for canine guests. For an example of a holiday property that really gets the value of a welcome pack using local suppliers, see what they are doing at Blakelow Cottages. Here is where you can be really creative and score a branding home-run for your rental. Consider who is staying in the holiday party – if there are children then what would really delight them on arrival? The quickest way to impress Mum and Dad is to enthral the kiddies, so what will really make them happy? Maybe some funky sunglasses, a magic colouring mat, board game, a toy or bedtime story. Include a soft toy who is ready to greet children as they arrive at your cottage as a gift for each of the children. Leave a handwritten note on a compliments slip with your logo and contact details, together with a special offer for their next stay. How about a carefully chosen gift they can take home so they have a special memory of their holiday? A candle of essential oils, relaxing shower gel, sensual bath oils, chocolates, a mug, or some comfy socks. Have some special postcards made up for them to send to family and friends (with a discount) Include your logo, a photo of your property/view and contact details (social media, website, telephone). 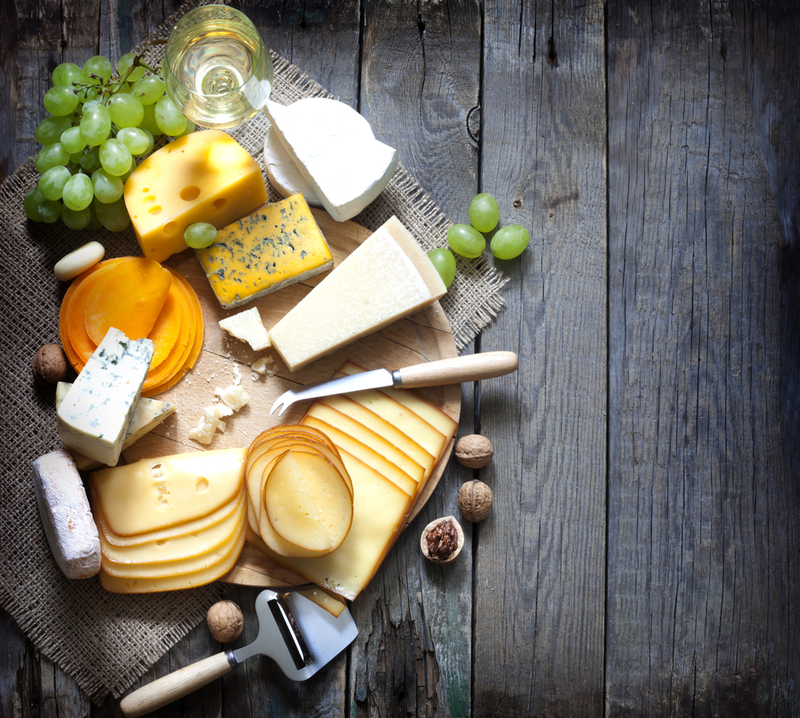 Work with local suppliers to include their free samples and gifts in return for promoting their product – do you live near a cheese or wine producer? Is there a theme park or spa nearby where you can get some discount vouchers? Do some brainstorming and you will be sure to find some creative ideas here. To help aid a good nights sleep provide earplugs and eye masks. From your correspondence with guests, you may know they are celebrating something special — birthdays, honeymoon, anniversary etc. Leave a card, some fresh flowers or a bottle of wine to celebrate their special occasion. It’s little touches like this that will make their stay memorable. Don’t forget to invest in a hand-woven basket lined with fresh straw to present the treats in each time you have new guests. Making just a little bit of effort with your welcome hamper can reap huge rewards by making a lasting impression on your guests which can lead to positive reviews, repeat bookings and recommendations. Looking for other ideas to include in your holiday rental? Here is an inventory list of over 200 essential items. Alongside your welcome pack should be your guest information that includes everything guests need to know. Here is how to create the ultimate guest information book. 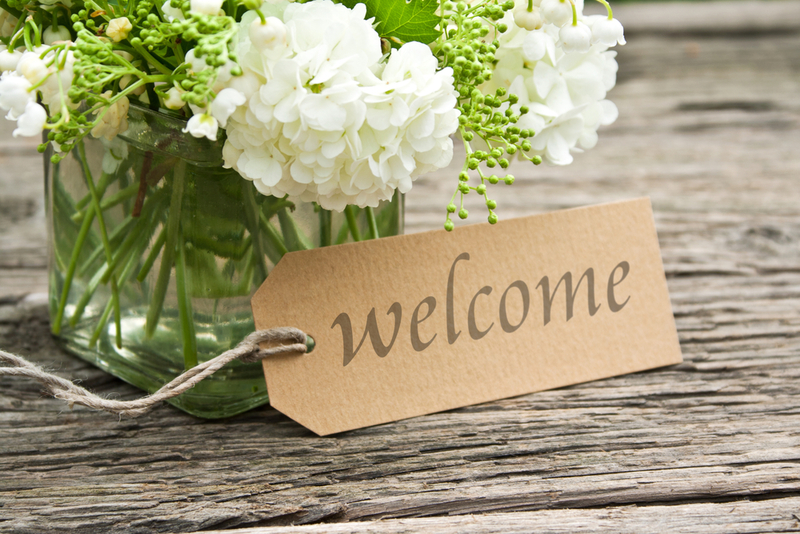 What would make you feel welcome in a holiday cottage? Add your suggestions in the comments. Good to see this article: welcome packs are so important as they say much about how important a guest is made to feel they are, at the point they arrive in a cottage. Be careful if you include wine in a welcome pack. Technically if the welcome pack is included in the price, you are supposed to have a licence for it. So, if you are simply giving it away free, avoid mentioning it in your advertising. so it can be seen as a gift. The other thing we have learnt from experience is that it is a good idea not to include it if your guests are likely to follow a religion that forbids the consumption of alcohol. You can always ask the guest when they make their booking if they would like it to be included. Replace it with upmarket fruit cordials instead.